Make sure and add Archery Tag and Black Light Teen Scream to your calendars this week! 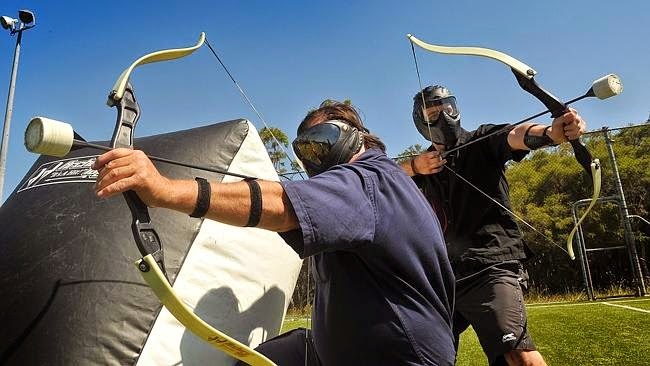 Archery Tag - Combines the intensity and excitement of dodgeball and paintball with the precision of archery using patented foam-tipped arrows. Open to ages 8 years and older, July 24, 6:30 - 8 PM. Participants must check in at the Wylie Recreation Center Front Desk. Parent signature required for participants 17 and under. Black Light Teen Scream - Put on your neon clothes and play laser tag and climb our 26ft climbing wall all under the black lights! Open to ages 10 - 14 years old, July 26, 8:30 - 10 PM. $5 if registered by July 24. Register for $7 starting July 25.